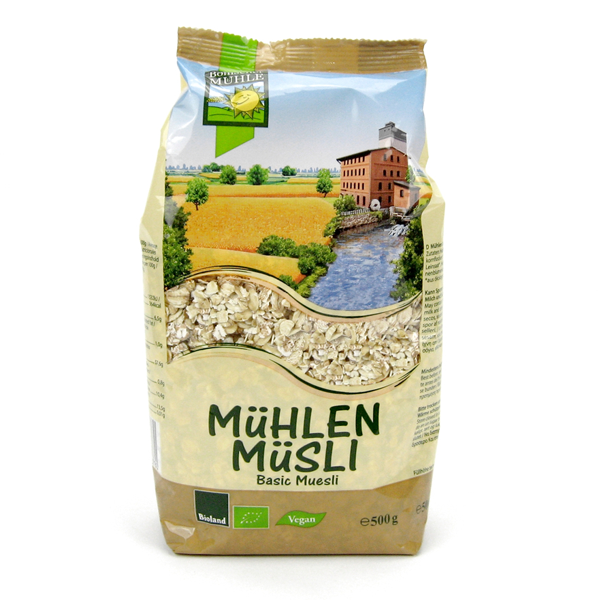 An organic basic muesli with rolled oats, spelt and einkorn flakes - no raisins but plenty of seeds. Bohlsener Mill is a family run business using exclusively organic and regionally grown grains for their products for more than 30 years. 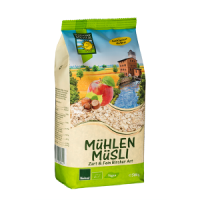 Start your morning with a lovely blend of grains and seeds which sees you though to lunch time. 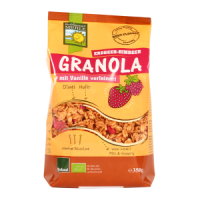 OAT flakes* 50%, SPELT flakes* 31%, EINKORN flakes* 10%, flaxseed*, OAT bran*, roasted buckwheat*, sunflower kernels*. 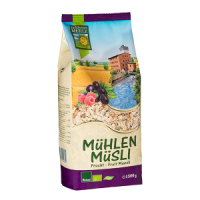 A great muesli for a filling and nutritious start to the day, with a touch of honey, dried/fresh fruit and milk/yoghurt of choice. It’s a brilliant base for creating a slightly different breakfast every day. I definitely recommend it to families as it’s appealing to both adults and children!